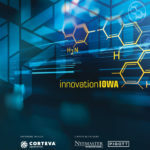 Technology-related employment in Iowa grew by more than 1,000 new jobs in 2018, the Corridor Business Journal reports. In an annual assessment, CompTIA reported net tech employment in Iowa grew by an estimated 1,014 jobs in 2018, a 1.1% increase over 2017. Growth was driven by new software and web development positions (up 3.6%) and computer system and cybersecurity analyst positions (up 2.7%).